Now that time has passed, the dust has settled and aficiondos of Danny and Dusty's The Lost Weekend', have had time to turn reality into tall tales, anecdote and campfire legend, it is time to set the story straight. 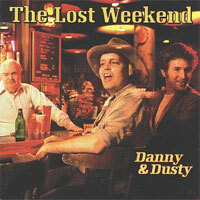 "The Lost Weekend" was not actually recorded in a weekend. No, after the approximately 32 hours from sundown Friday to last call Saturday night, we decided to take all of Sunday off to nurse our hangovers and calmly bask in the glory of our frantic, wild session. A weekend? We didn't need no stinkin' weekend. In February 1985 the Dream Syndicate, Green On Red and The Long Ryders were at the top of our creative, critical and commercial games. We wore the confidence and cockiness of. musicians who knew that any trip to any newstand was guaranteed to result in more verification of our certainty that each person's particular band (and we each would gladly place the other combos in the runners-up spot) was the best in the world. So when Danny, Chris, Sid, Stephen, Tom, Dennis and myself converged on Control Centre Studios to turn the previous years "Bend in the Road/The Word Is Out", session into a complete LP, none of us doubted our ability to get the job done. The only question was who would pay for the beer (I think I did but I'm open to factual revisionism). Several cases of Bud and a few well-timed pints 'of Jim Beam later, we had performed the tracks that you hear on this long-awaited CD. No instruments were over-dubbed and only a few vocals were added later. Since that time, all of us have had our own Bends in the Road. Some successes some reassessments, but I'm happy to say that all of us are to one extent or another, still making records and trying to unearth new mysteries. And when I hear the record that you are holding in your hands, I am taken back to a wonderful time of arrogance, wildness and most of all enduring friendship. It's all there again. Now, if I can only remember what we did on Sunday. The Lost Weekend ( 1985 ) is a collaboration between mainly Dan Stuart and Steve Wynn who have written all the songs, except, of course, for Knockin' On Heavens Door by Dylan. 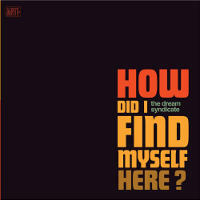 They are backed at what could be called a supergroup of people from the Paisley Underground: Chris Cacavas from Green On Red, Sid Griffin & Tom Stevens of The Long Ryders, and Dennis Duck of The Dream Syndicate. 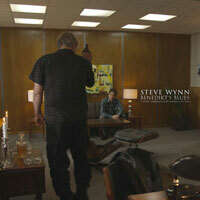 The producer was Paul B. Cutler, prior to membership in The Dream Syndicate.